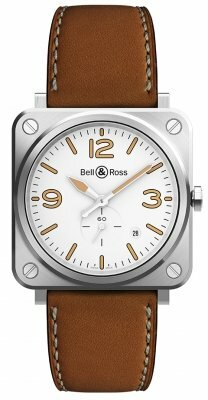 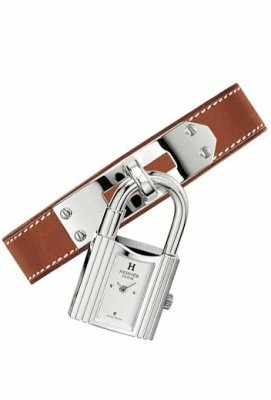 Removable stainless steel lock charm watch which dangles from a steel base on the strap. 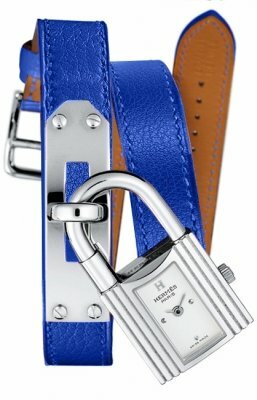 Malta blue Epsom calfskin leather "double tour" strap which winds around the wrist two times. 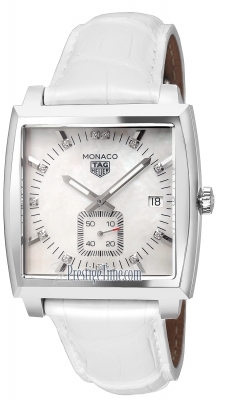 White dial with silver-tone applied dot hour markers and an H for 12 o'clock.